Oklahoma fossil record: Macrofossils have been found in Oklahoma rocks deposited during the Pennsylvanian and Permian Periods. 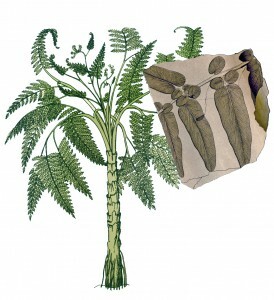 Medullosans are an extinct group of seed plants that are commonly, although incorrectly, called seed ferns. Medullosans produce seeds, not spores, and are more closely related to conifers and flowering plants than to ferns. This misnomer arose because the leaves of medullosans are very similar to and often mistaken for the leaves of ferns. 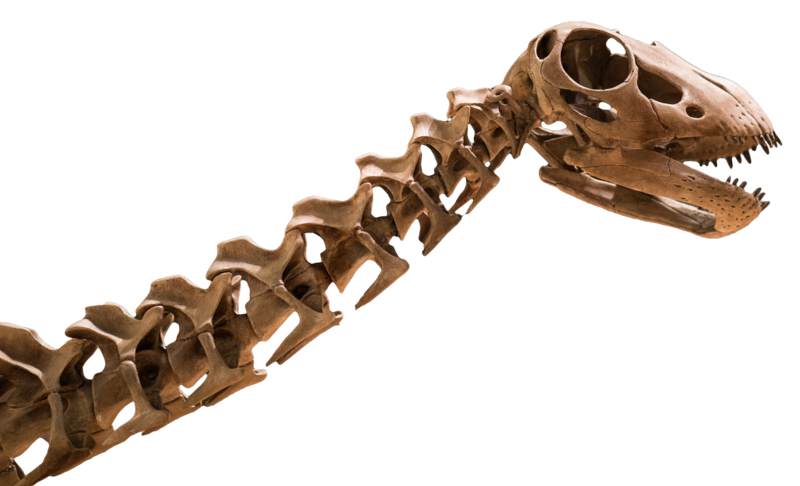 Medullosans lived all over the landscape during the Carboniferous and Permian periods, but were most common along rivers and muddy swamps. Some medullosans grew as trees, reaching about 16 feet (5 meters) tall, with individual leaves that exceeded 9 feet (3 meters) long. Others grew as vines, entwined around other plants. Medullosan seeds range in size from approx 1/4 of an inch (9 millimeters) to over 4 inches (11 centimeters), and the largest were among the biggest seeds recovered from the fossil record until the Cenozoic Era (over 150 million years later).